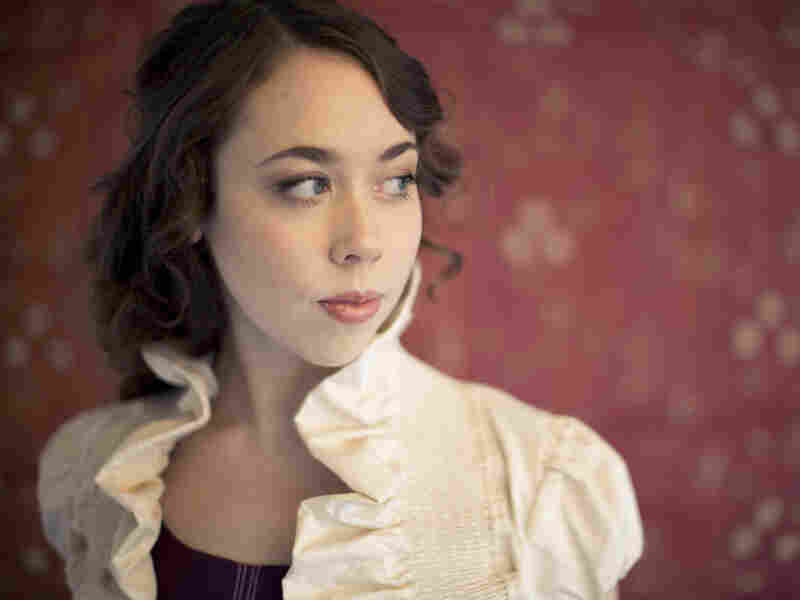 Sarah Jarosz: Redefining The Sound Of Bluegrass With her moody, clear-toned voice and use of unique instrumentation, Jarosz blends the traditional and modern sounds of bluegrass with a collage of influences. The New England Conservatory, the oldest free-standing music school in the U.S., is not a place you'd have been likely to find a bluegrass-trained artist just a few years ago. But, like the artist herself, the school is stretching out. "The program I'm in is called Contemporary Improvisation, and it's kind of the development of your personal style," Sarah Jarosz says. "Last year, I was in a world music ensemble and a Jewish music ensemble, which is really fun, like klezmer and Yiddish folk music. And as a vocalist, that's really pushed me to use my voice in a way I'd normally never use my singing voice." That moody, clear-toned voice caught the attention of talent scout Gary Paczosa nearly four years ago, at one of the festivals where Jarosz got her first musical education — specifically the plunging Rocky Mountain canyon of Telluride. "And it was one of those days when it was really hot out and I was leaving to go to find shade and go back to the hotel, and I was all the way out of the festival grounds," Paczosa says. "And I heard this voice. I heard this girl start singing, and it's like, 'Oh, man, that's gotta be her.' And I went back — sure enough, it was. And I heard it from a ways off. I was all the way out of the grounds and it was something fresh." Paczosa, producer to Alison Krauss and many other bluegrass-based musicians, signed Jarosz to a record deal and has worked in the studio with her ever since. They finished her first album when Jarosz was just 18. That debut shot her to the forefront of the new acoustic scene, but Pascoza says he's pleased that his young protege opted for college and didn't rush headlong into a full-time stage career. He did, however, voice misgivings about her choice of a classical conservatory. "You just want to make sure that they get it, who she is. That they're not going to try and change that," Paczosa says. "When I hear 'trained musicians,' you know, that makes me usually want to run — in our world, it's not a plus. It hasn't been in the past, a classical approach. Her raw talent is what we want to make better — what she naturally does." For her part, Jarosz says there's no easily drawn line between her studies and the songs on her new album — titled Follow Me Down — but that she feels more confident in her singing and versatile in her writing. The folk influences shine through, as she plays her banjo in pre-bluegrass style and channels Edgar Allan Poe. Jarosz also composes instrumentals that nod to what some have called "chamber-grass." She plays octave mandolin with a bass, cello, violin and dobro star Jerry Douglas, one of her heroes and a pioneer of this hybrid American sound. Exactly what is and isn't appropriate in bluegrass has been a hot subject of debate for decades. But Tim O'Brien, a traditional-leaning icon, is a defender of those who depart from bluegrass orthodoxy. He says Jarosz is part of a particularly skilled generation of players, and that as they push forward, more established fine-arts music communities are meeting them halfway. "It's about time. And, in fact, people are calling for this," O'Brien says. "There are a lot of really talented kids that want this. The roots are still strong. And that's what's great. Our institutions are realizing that." Those institutions include another major academy in Boston: the jazz-focused Berklee College of Music, where some of Jarosz's friends and colleagues have studied. Like anyone her age, Jarosz listens to more than classical, jazz or bluegrass. She covered Tom Waits and The Decemberists on her debut. On Follow Me Down, she and The Punch Brothers make over Radiohead. This collage of influences — the festival scene, school, the music on her iPod — has inspired in Jarosz a clarity of purpose. "I come from a background where everything is organic and it's not complex, and it's just folk songs," Jarosz says. "That's how I grew up: trying to preserve that aspect of it while still trying to push it." Music teachers often say that they learn as much from their students as the other way around. Jarosz's self-aware approach to her studies suggests that might be more than a cliche.